Publication Name: Fête villageoise, Ouverture pour orchestre, op. 4. Partition d'orchestre. Well my scanner cannot handle big scores. Besides it's not somethin good, hence don't expect a high-quality scan. Rachmaninoff Chanson Georgienne Op. 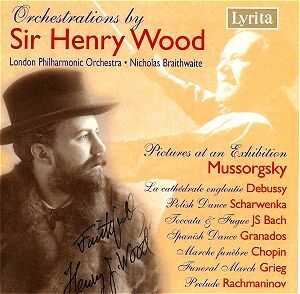 4 No 4 , "Do not sing, my beauty"
Wood's idiosyncratic orchestration can be heard on this CD. Others who have orchestrated Rachmaninoff's infamous Prelude are : Leopold Stokowski, Lucien Cailliet and Leo Artok. Bach / A. Goedicke : Passacaglia BWV 582, C minor, Für grosses Orchester bearbeitet. Thank you very much for the opportunity to examine Mossolov beyond the Iron Foundry. Does anyone have access to the score of Karamanov's excellent 22nd Symphony? My school cannot get it through InterLibrary Loan, and I don't see it for sale any place. I've scanned many unique works myself, and would love to trade!